With content flooding communication channels, companies have found it difficult to connect organically with audiences in recent years. How we get the right content to the right people at the right time is evolving, and some distribution channels are expecting brands to pay. 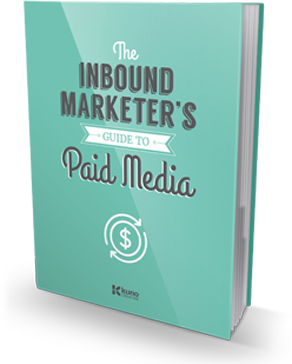 That’s why we created the Inbound Marketer’s Guide to Paid Media. Don't waste another minute, get your guide today.